Information is sparse about Sleeping Romance. They're a female fronted metal band from Italy started under another unknown name. They played live locally, but we don't know where. They successfully cut a demo, one good enough to get them signed Sweden's Ulterium Records for the release of their debut Enlighten. In November they'll be on short European tour supporting American band Theocracy. Sleeping Romance: beauty and four beasts. 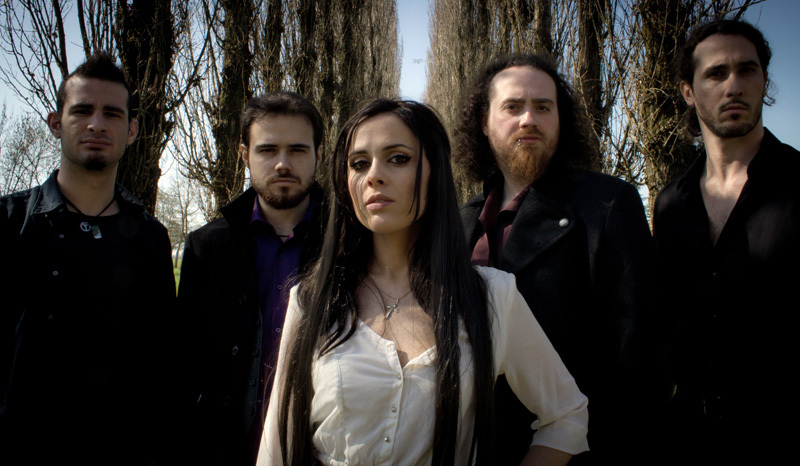 As you likely guessed, being a female fronted metal band from Italy, Sleeping Romance offers basic melodic symphonic power metal. Honestly, they're pretty good at too. Bypassing the instrumental opening Hybrid Overture, you get this straight away with the title track, which gallops along in parts, mostly in the latter half. Having heard the tempo changes in this song, you'll notice in most every song this is characteristic of Sleeping Romance. Two very good examples come with Passion Lost and Devil's Cave. If you regard tempo changes as a requisite characteristic, than you might call this progressive metal. These songs also bump up the sonic bombastic nature of their music thanks to large crashing drums and symphonic synths. Actually most song are rather grand and expansive. December Flower, and possibly Free Me, are the only two songs that back off from the bombastic power metal. One of the best characteristics of Sleeping Romance, one that might put them ahead of the pack of similar bands, is the simple ability to craft good music. While Federica Lanna certainly has fine voice, it was the arrangements that caught my attention from the start, especially the solid guitar lines. Sleeping Romance could be a band to watch in the future. Recommended. 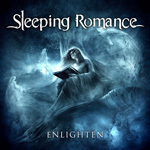 While nothing new or novel for the genre, with Enlighten, the female-fronted Sleeping Romance does very good melodic symphonic power metal.